Breaking the news to your children about your planned separation is probably one of the most difficult, stressful and painful things you will ever have to do. It’s also one of the most important things you have to do when you make the decision to separate. There is no easy way to break the news to your children, but it’s absolutely necessary. That said, there are things that you and your ex-partner can do and strategies that you can follow that will facilitate the communication process and help the children deal with their emotions during this challenging time. If at all possible, you should work out a plan with your ex-partner as to when, how and what you will tell your children. The experts say that when parents establish a mutual and consistent story of the separation, however difficult that process may be, it will be of enormous and long-lasting benefit to the children. Understandably, many separations are complex, acrimonious and multi-layered with many different perspectives and opinions, but in the interests of the children, presenting a united front on the terms of the separation is crucial. When you’re telling your children about your separation, it’s generally better to tell them at a time when all the siblings are together and in a place where they are comfortable and familiar. It’s helpful if they all have the same information, plus they will draw strength from one another. Children need to know what’s happening. They need explanations and need reassurance. They need clear, age-appropriate information. They may not respond to the news in the way you would have expected – and so you need to be prepared to manage the situation in the best possible way. They need to be told about the separation in age-appropriate language, in terms that they can understand and in as factual and rational way as possible – without apportioning blame. For example, a four year old will grasp the concept that ‘mum and dad have been fighting a lot so we have decided to live in different houses’ whereas they are unlikely to understand what ‘separate’ means. Tell the children that they are loved and that they aren’t to blame for your decision. Children of all ages need constant reassurance that they are loved, that they aren’t being forced to ‘choose’ one parent over another and that they aren’t responsible for the problems in the relationship. They should also be reassured that you will put their needs first and that you will always love them and look after them. Children need to be reassured about their routines and they need to know how the ‘new normal’ is going to work. Honesty is best, and if you’re unsure about how things are going to work at the time of telling them about your decision to separate, let them know that you’re both working on things and will always keep them informed. They need specific details about how their lives will be affected by the change, how it will be structured, where they will live, how often they will see the parent who is leaving the family home etc, so it’s essential to volunteer as much information as you can upfront and be as honest as possible when you answer their questions. Importantly, children need to be told that they will always be able to maintain a relationship with both parents, regardless of the changed circumstances. It’s also helpful to tell your children that they can’t do anything to change the situation. This is an important message so that they don’t feel like they have a responsibility to repair your relationship. Children should be told that the separation will be sad, but that good things will come from it. They need to hear that all of their feelings, especially the negative ones, are legitimate and acknowledged and that they have a right to feel angry, confused or sad. They need to know that how they deal with those emotions is important and that things will get better. The way that you and your ex-partner conduct yourselves when you are telling your children about your decision to separate will have a huge impact on the way your children respond and go forward. They will take their cue from you, and if the information you give them is consistent and delivered in a sensitive, positive and reassuring way, they’re more likely to adjust to the changed situation. 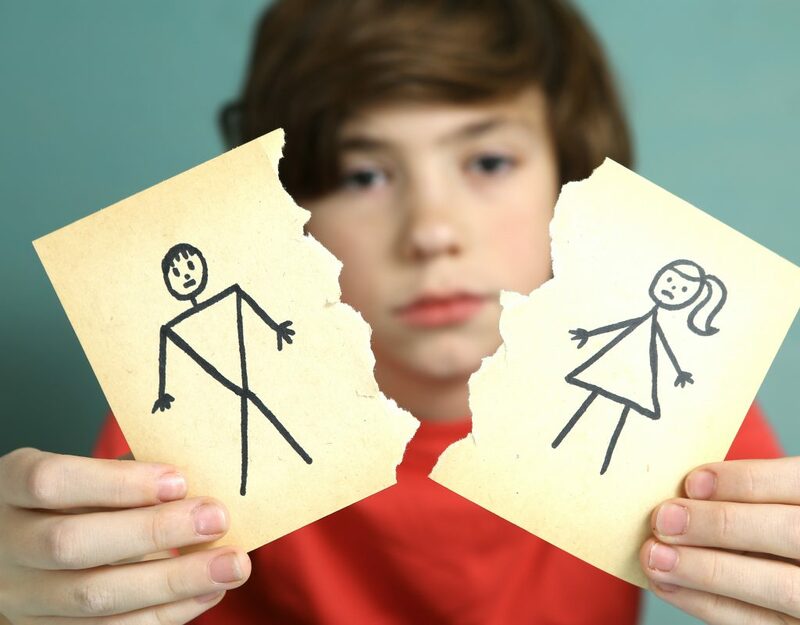 Getting legal advice in the early stages of separation can be very helpful, especially when children are involved. Paterson & Dowding is one of the top firms dealing with family law and divorce law in Perth and has an established reputation for high quality legal services, skilled and knowledgeable practitioners and a sensitive and practical approach. If you’re making a decision to separate from your partner and want the best divorce lawyer in Perth, make an appointment with one of their experienced practitioners by calling 08 9226 3300 or by visiting www.patersondowding.com.au.